Recipe and Jay Gonza Kill It On The Hard-Hitting "Murda"
Featured Song: recipe. – murda (feat. jay gonza). Los Angeles producer Recipe’s latest effort “Murda” slays. Accompanied by the rawness of Jay Gonza’s smooth freestyle, “Murda” oozes decadent synth hits and clean percussive slaps. Atmospheric layering and wobbly synths help to emphasize Gonza’s flow, providing excellent synergy between production and poetry. The track bites with a sort of tenacity that pulls you in and has you listening again and again. “Murda” is just one of many efforts which aim to allow Recipe to experiment with his production range. 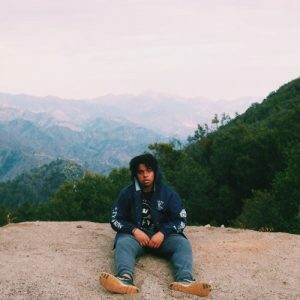 Recipe has released a slew of unique tracks recently, proving that he’s hard at work trying to establish himself and find his creative niche. If Recipe continues to kill it with tracks like “Murda,” it won’t be long before he captures the attention of more listeners; for now though, both Recipe and Jay Gonza remain up-and-coming artists to watch. Be sure to check out Recipe’s youtube channel for some awesome visual content. Just follow the link here.